Faviana Style 10151 is sparkling and flirtatious! 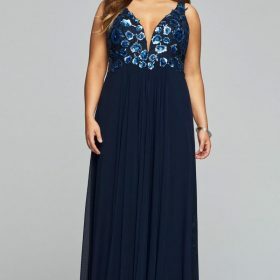 This little V-neck chiffon cocktail dress is perfectly flattering on an hourglass figure. This appliqué princess-line bodice dress sparkles the night away. With a lace-up back, it has a fit that is adjustable, making it it fit snug on every type of body.